The holidays are just around the corner! Hard to believe but always an exciting time. Especially for food bloggers who get to create seasonal and fun goodies! This one adds a nice touch to both Thanksgiving and Christmas celebrations. 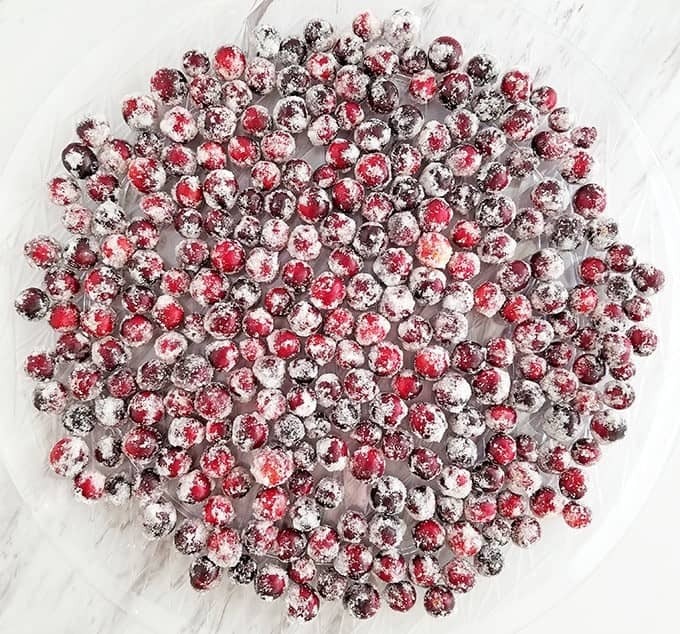 If you’ve tried making frosted cranberries before, you know it can be pretty tricky, but I’ll share what works for me. 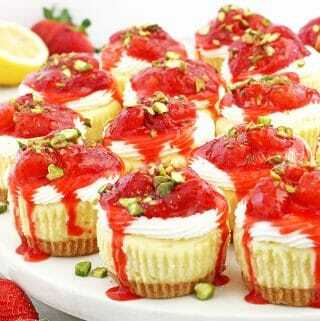 I usually make them for a decorative topping on dessert but they’re also edible if you can handle it. The berries themselves are a bit bitter so the sugar coating balances them with sweetness and makes them look beautiful. Have fun with these! 1. 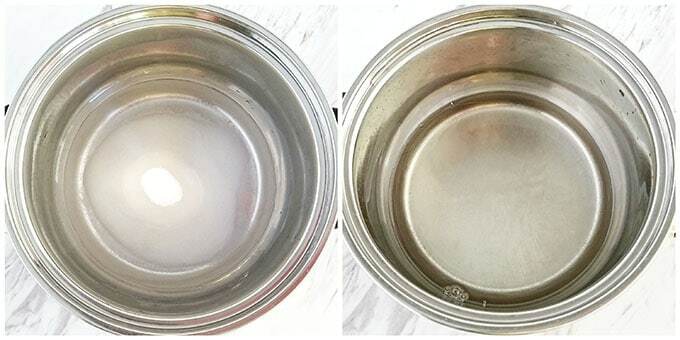 Combine water and sugar in a small pot. Bring to a boil and let it boil for 30 seconds. 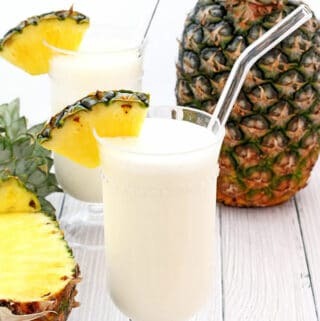 Remove from heat, set aside and let it cool for about 15 – 20 minutes. 2. 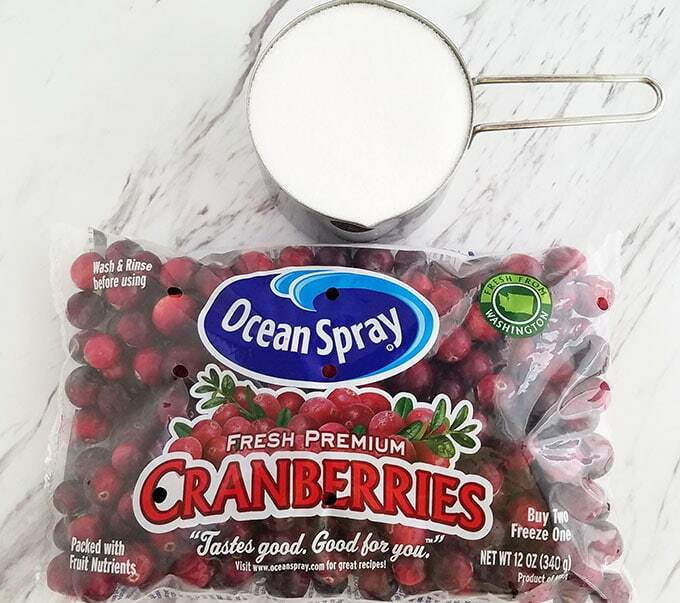 Wash cranberries and place them in a large bowl. Pour warm sugar syrup over cranberries. Mix cranberries and syrup together. Drain the syrup coated cranberries through a sifter and let the syrup drip. 3. 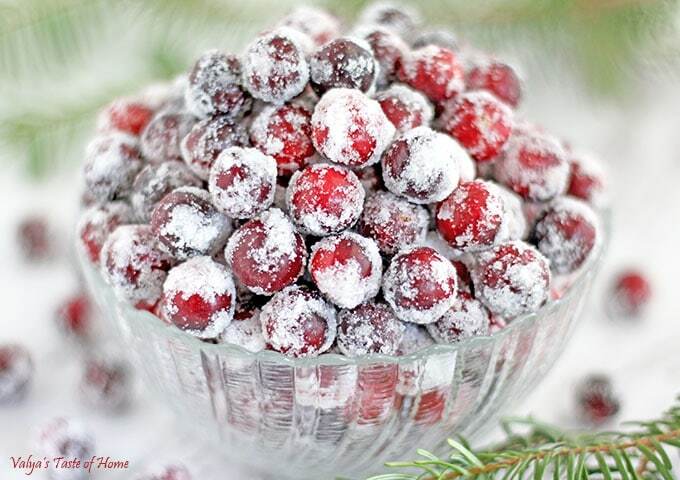 Move syrup coated cranberries onto a large plate of sugar. Coat them with the sugar. 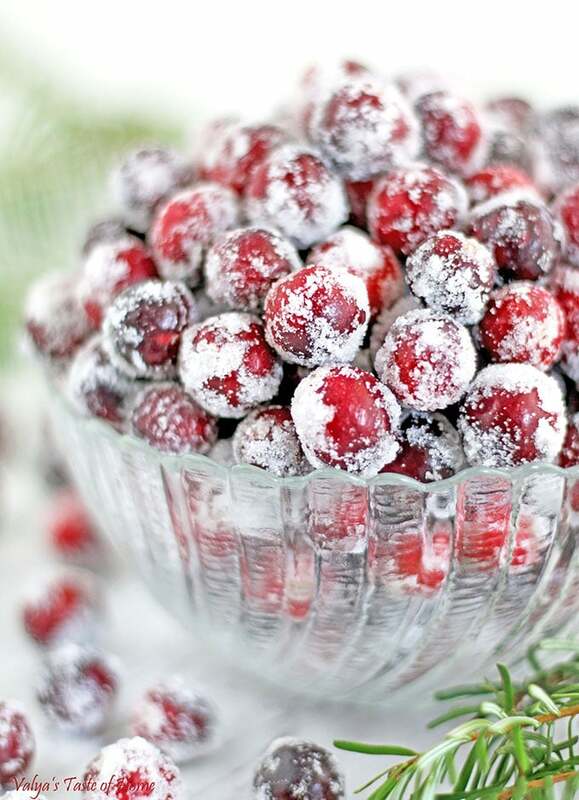 Scoop some cranberries out, place into a strainer, and shake excess sugar off the sugar-coated cranberries. 4. 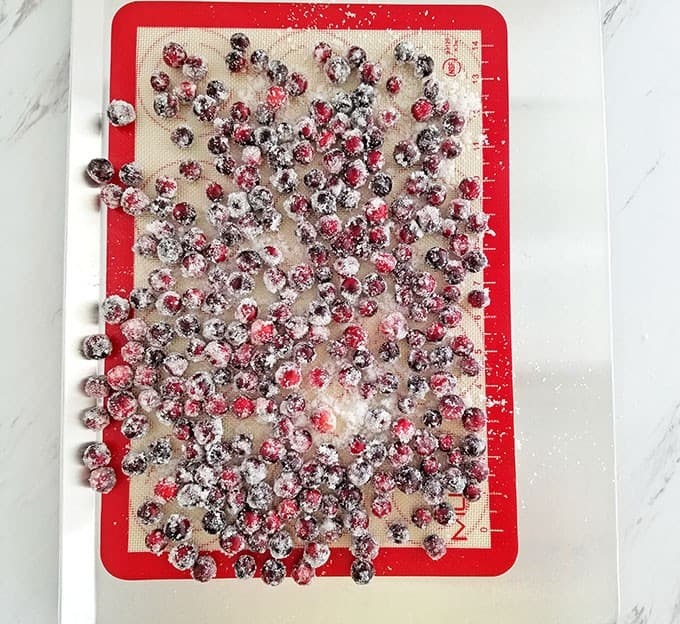 Transfer onto a non-stick mat for the sugar-coated cranberries to dry. This one adds a nice touch to Thanksgiving and Christmas. 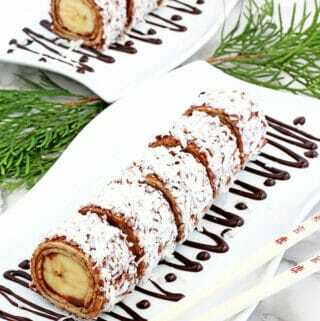 I usually make them for a decorative topping on dessert. The berries themselves are a bit bitter so the sugar coating balances with sweetness and make them look beautiful. 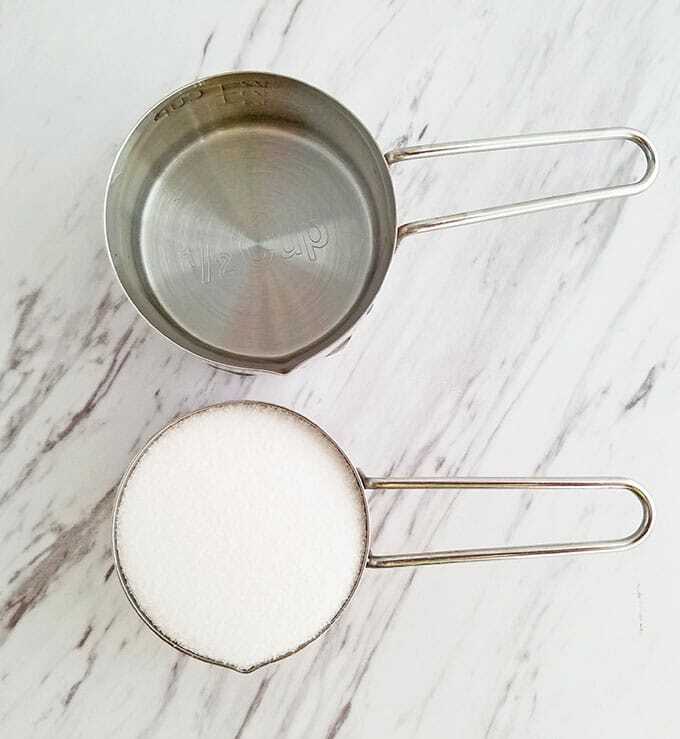 Combine water and sugar in a small pot. Bring to a boil and let it boil for 30 seconds. 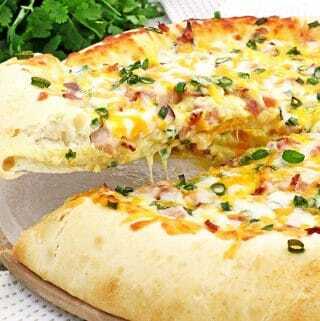 Remove from heat, set aside and let it cool for about 15 – 20 minutes. Wash cranberries and place them in a large bowl. Pour warm sugar syrup over cranberries. Mix cranberries and syrup together. Drain the syrup coated cranberries through a sifter and let the syrup drip. 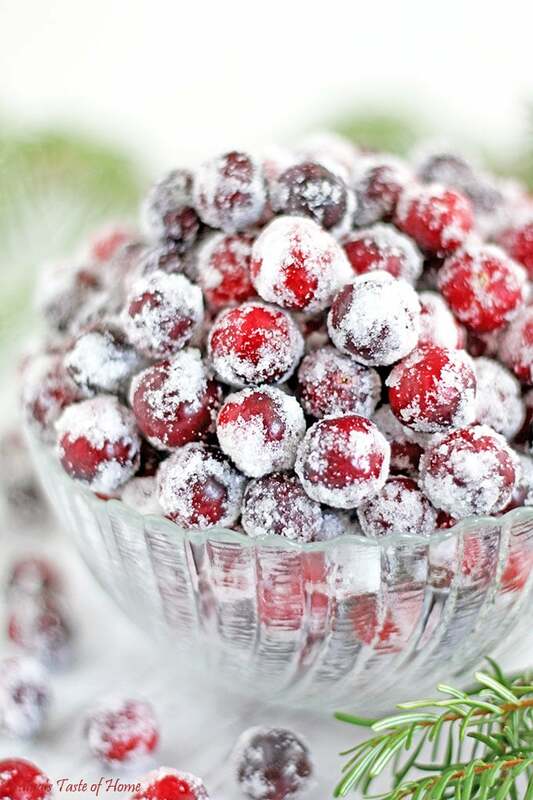 Move syrup coated cranberries onto a large plate of sugar. Coat them with the sugar. 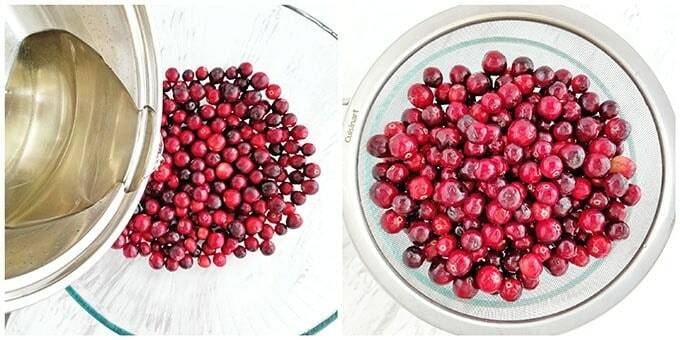 Scoop some cranberries out, place into a strainer, and shake excess sugar off the sugar-coated cranberries. Transfer onto a non-stick mat for the sugar-coated cranberries to dry. Wow! These are so adorable! I see why they would make a beautiful dessert decor. 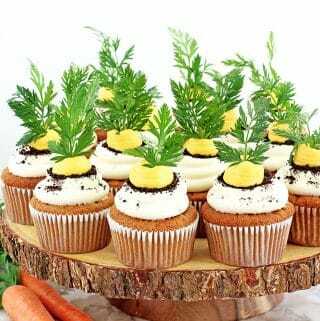 I’m making these beauties for a teachers party today! Cant wait to impress the crowd with these amazing taste bud shocking baskets! 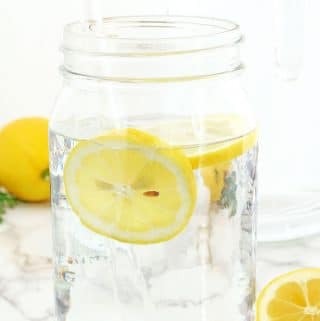 Keep up your good work!